Good Morning Bella Gypsy Fans! I hope that everyone is having a terrific week! If not, the deals I have for you today will surely make your day, even your week better! Have you seen the latest, amazing, and wonderfully colorful kits that the amazing Bella Gypsy has made? These kits were just what I needed to lighten up my mood. Rain, rain, and more rain has set in where I live. The bright colors of the kits “Veg Out” and “Tooty Fruity” perked me right up. If you have not seen these kits scroll down to the previous post to see the previews, and all the fabulous layouts that the creative team made. We are big veggie and fruit gardeners here at this house so I was very, very excited to see both of these kits. 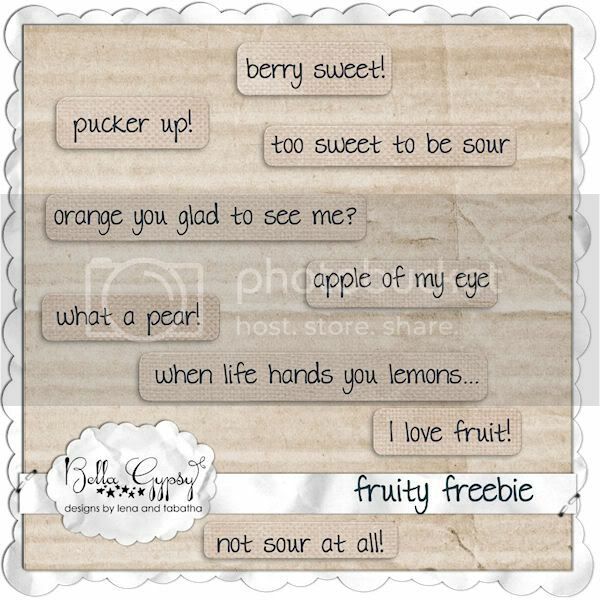 “Veg Out” and “Tooty Fruity” are $1 pixel deals today! There are also two Sketchology kits in the $1 pixel deals. Sketchology: Orange You Glad? and Sketchology: Whirled Peas. Don’t pass up these amazing deals! Gotta Pixel is a just full of so many great deals today. They are having their “Gotta Grab It” event. One swatch=tons of kit choices for $1 each! 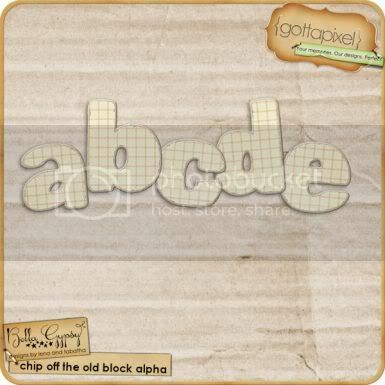 Bella Gypsy’s contribution this month is a kit called “Chip Off The Old Block”. An absolutely perfect kit to scrap all those pics you will be taking on Father’s Day this weekend! 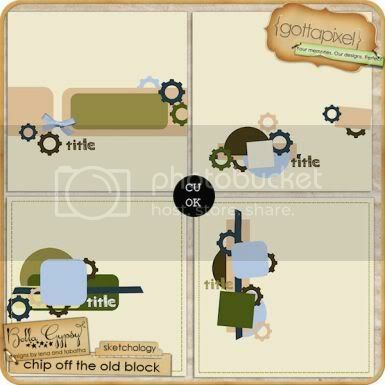 There is also a great set of templates that coordinate with this kit. Check it out! Each piece is only a dollar (today is the last day)! Isn’t this an amazing kit! I just love, love, love the alpha! Ok. I have one last thing for you on the totally, terrific Tuesday. A FREEBIE!!!! 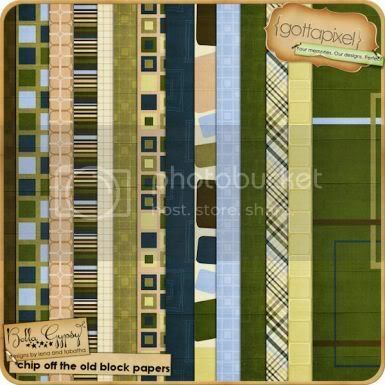 This freebie goes with the kit “Tooty Fruity”. Enjoy!